I can’t remember the last time writing a review stumped me quite as much as this one has. THREE DAYS AND A LIFE by Pierre Lemaitre is one of my most-anticipated 2017 releases—I’ve been counting down the days to a new Lemaitre release ever since I finished his utterly brilliant psychological thriller BLOOD WEDDING over a year ago. BLOOD WEDDING is beautifully written, intelligently plotted, and sometimes brutally dark; I had hoped for Lemaitre to deliver a read in a similar vein for his next effort. THREE DAYS AND A LIFE certainly delivers the same beautiful writing and superb construction as did BLOOD WEDDING, but that’s where the similarities end. This review is such a puzzle to me because as a reader, THREE DAYS is excellent: a heartbreaking and masterful portrait of a man’s life, marked by a childhood mistake. But as a crime reader, I would be very hesitant to recommend THREE DAYS AND A LIFE. In 1999, in the small provincial town of Beauval, France, twelve-year-old Antoine Courtin accidentally kills a young neighbor boy in the woods near his home. Panicked, he conceals the body and to his relief--and ongoing shame--he is never suspected of any connection to the child's disappearance. But the boy's death continues to haunt him, shaping his life in unseen ways. More than a decade later, Antoine is living in Paris, now a young doctor with a fiancée and a promising future. On a rare trip home to the town he hates and fears, Antoine thoughtlessly sleeps with a beautiful young woman from his past. She shows up pregnant at his doorstep in Paris a few months later, insisting that they marry, but Antoine refuses. Meanwhile, the newly discovered body of Antoine's childhood victim means that the case has been reopened, and all of his old fears rush back. Then the young woman's father threatens Antoine with a paternity test--which would almost certainly match the DNA found on the dead child's body. Will Antoine finally be forced to confront his crime? And what is he prepared to do to keep his secrets buried in the past? No matter your genre of choice, it’s an undeniable fact: Pierre Lemaitre is a truly exceptional writer. Even in translation, his prose is beautiful. There’s a refinement and delicacy to his language that feels quintessentially French to me—even when describing something grotesque, there’s an underlying elegance to his storytelling that impressed me just as much in THREE DAYS as it did in BLOOD WEDDING. You’d be hard-pressed to find a poorly-written book in his bibliography—he really is just a brilliant storyteller. That being said, as a crime reader, your time would be best spent exploring his backlist. BLOOD WEDDING is truly an exceptional story of psychological suspense, and Lemaitre’s Camille Verhoeven trilogy is a standout for readers more inclined towards detective novels. THREE DAYS, on the other hand, is better qualified as a character study than a crime novel. The fundamental premise of THREE DAYS is genuinely captivating: a young boy commits a horrible crime, and must live the rest of his life with the knowledge of what he’s done, and the accompanying fear that someone will discover his horrible secret. My favorite kind of crime books are those that delve into topics exactly like this one; books that explore ordinary people’s capacity for darkness. The premise of THREE DAYS seemed poised to deliver exactly this kind of crime fiction read. Unfortunately, this book deviated from my hope for it. Rather than developing a story of crimes and consequences, THREE DAYS is truly an interpersonal drama and character study. Readers follow as our main character grows up bearing the knowledge of what he’s done, and grappling with his internal guilt over it. Though it is satisfying to see how Lemaitre imagines a person would live with the weight of this crime, there’s very little tension or suspense for crime readers to sink their teeth into. I kept hoping for more: a development in the case, an individual threatening to reveal the main character’s secret, or even a darker, more intense illustration of the main character's inner turmoil would have done so much to elevate this story into the realm of psychological suspense. As it is, I have a hard time imagining this book delivering the tension or psychological meat that a crime reader might hope for. On the flipside of the above sentiment, there is of course something to be said for subtlety: if you’re a crime reader who is also open to a novel that’s a true character study, both a study of a man and of a small town, this book might work for you. 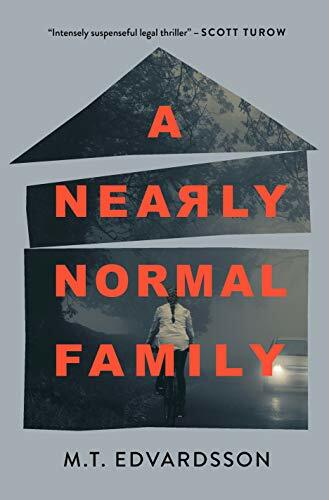 THREE DAYS is not without psychological complexity—while this book didn’t deliver the level of insight or tension that I had hoped for, readers are privy to a measure of the internal fallout of this horrible secret as it impacts the story’s main character. Similarly, Lemaitre explores the external fallout of the young boy's actions, profiling a small town that has felt the shockwaves of a crime. But again, this fallout is illustrated subtly. To capture and hold the attention of crime readers, THREE DAYS would have benefited from more insight into the main character’s state of mind not only in his childhood, where the majority of this book takes place, but also in his adult life. Please feel free to comment below with any questions—I'm such a huge fan of Lemaitre's previous crime books, and have immense respect for him as an author! I would simply be hesitant to recommend THREE DAYS AND A LIFE to crime readers looking for a true crime fiction read. While I'm hesitant to recommend THREE DAYS AND A LIFE to crime readers, I'm fully confident in recommending BLOOD WEDDING and Book 1 in Lemaitre's Camille Vanderhoeven trilogy, IRENE!